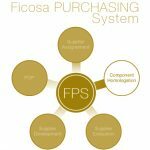 Ficosa has defined the Ficosa Purchasing System – FPS, which we use for total integration between Ficosa and our suppliers to give mutual growth relationship. We look for suppliers with great added-value with whom we can share projects and know-how, so as to contribute to our customers’ satisfaction and to technological, qualitative, and economic growth. 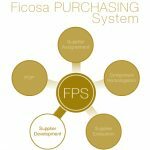 The FPS is Ficosa’s Global Integrated Purchasing Management System which utilises the configuration and management of a Purchasing Optimum Panel – POP – and its development, as well as all other purchasing processes such as supplier assignment, component approval, and supplier follow up and development. Our strategy is to develop and implement all tools, methodologies, and dynamics worldwide that allow internal clients to recognise the purchasing function as an excellent service. 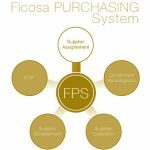 Ficosa has implemented a sourcing and parts assignment system on its website. This assignment system allows us to give the necessary support to both the purchaser and to materials and services. The purchasing process patterns ensures requests for quotations and comparatives are uniform. 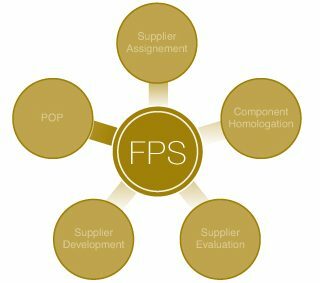 The online process management and supplier involvement promotes efficiency and increases the buyers’ productivity. Users can access the process information, which is stored in an information data repository, from anywhere in the world. This is the system that allows us to match customers’ requests to our products’ characteristics and, consequently, to our suppliers’ products. This validation standards system ensures a common Programme for all the Group’s centres. Supplier performance is key to our success. We have implemented a continuous performance follow up to monitor Quality, Logistics, and Project Development’s performance as well as their competitiveness and risk management. 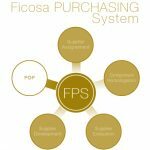 Ficosa, jointly with our suppliers, works towards continuous improvement in customer satisfaction and competitive excellence is our ultimate aim. 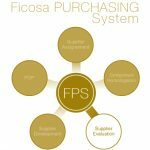 With this objective in mind, Ficosa implements activities and specific improvement plans in conjunction with suppliers. In this process, we define who Ficosa suppliers are and we manage all relevant supplier requirements here too.